Mix and master with precision. 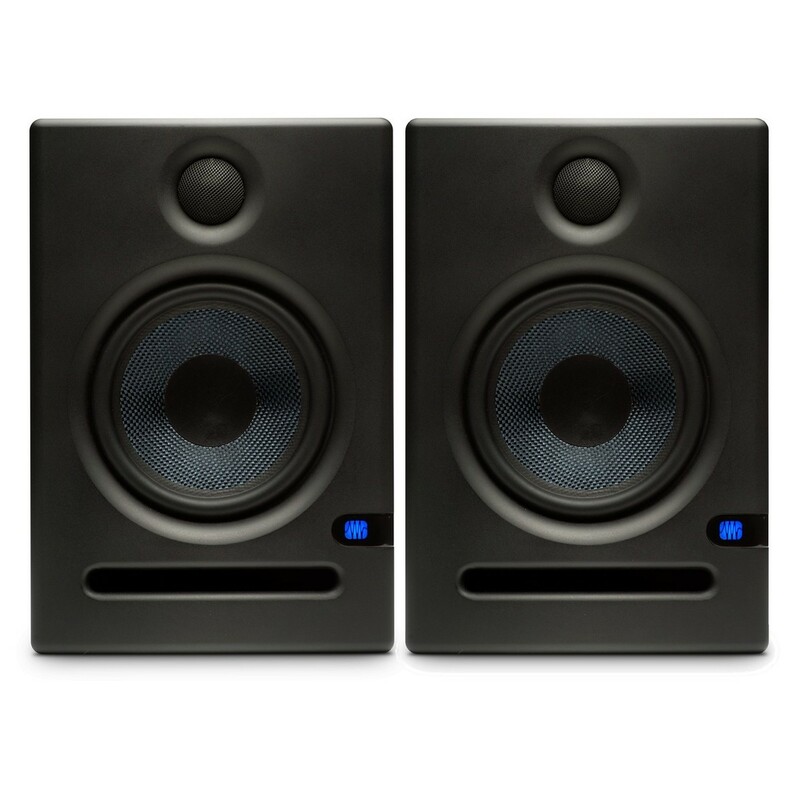 The PreSonus Eris E5 Active Studio Monitors, with Stands are active studio monitors that offer consistent, accurate sound. 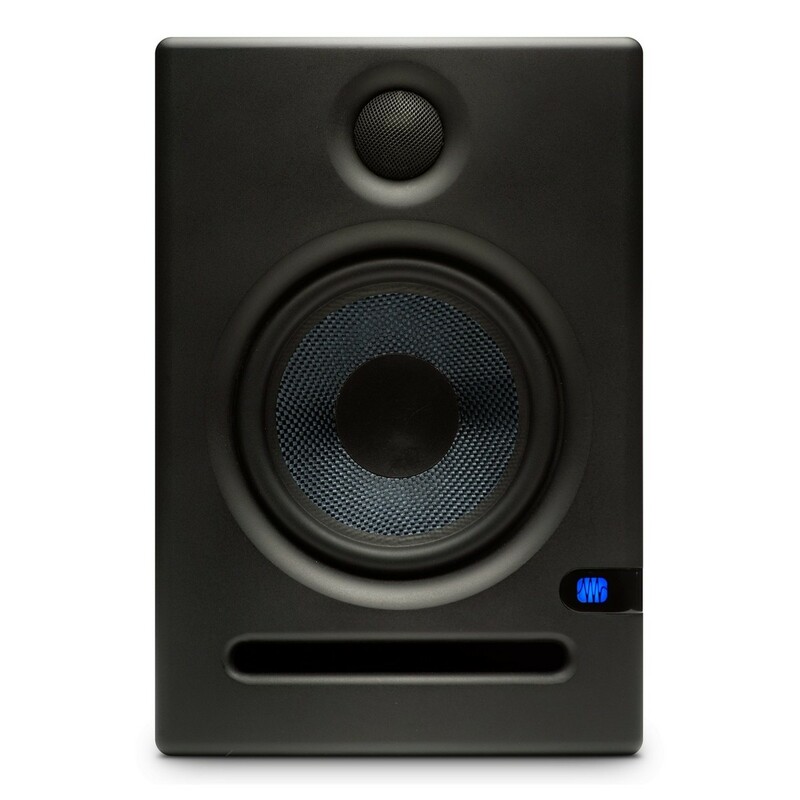 Featuring a Kevlar woofer and silk dome tweeter, the PreSonus Eris E5 monitors provide clean, tight low-end and accurate high frequencies, ideal for both the home and professional studio. The Eris E5 monitors feature a range of acoustic tuning controls that allow you to adjust settings to the room you are in, giving you the ability to work well in a range of untreated mixing environments. The Eris E5 monitors provide you with clear, consistent audio, allowing you to produce professional mixes every time. 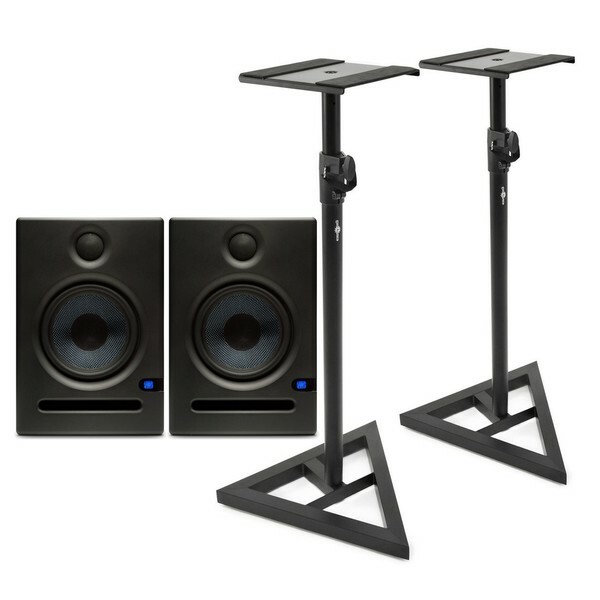 This bundle includes a pair of adjustable studio monitor stands, designed to improve the positoning and acoustic performance of your monitors. 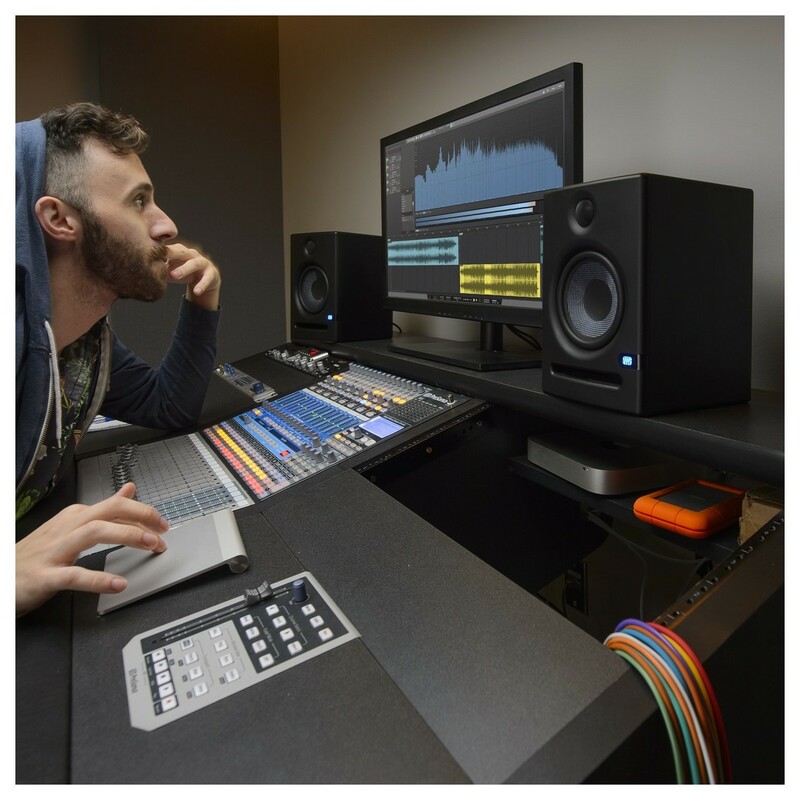 The PreSonus Eris E5 monitors offer a range of acoustic tuning controls that allow you to hear accurate audio in most listening environments. The monitors allow you to work with a variety of musical genres and challenging mixing environments. 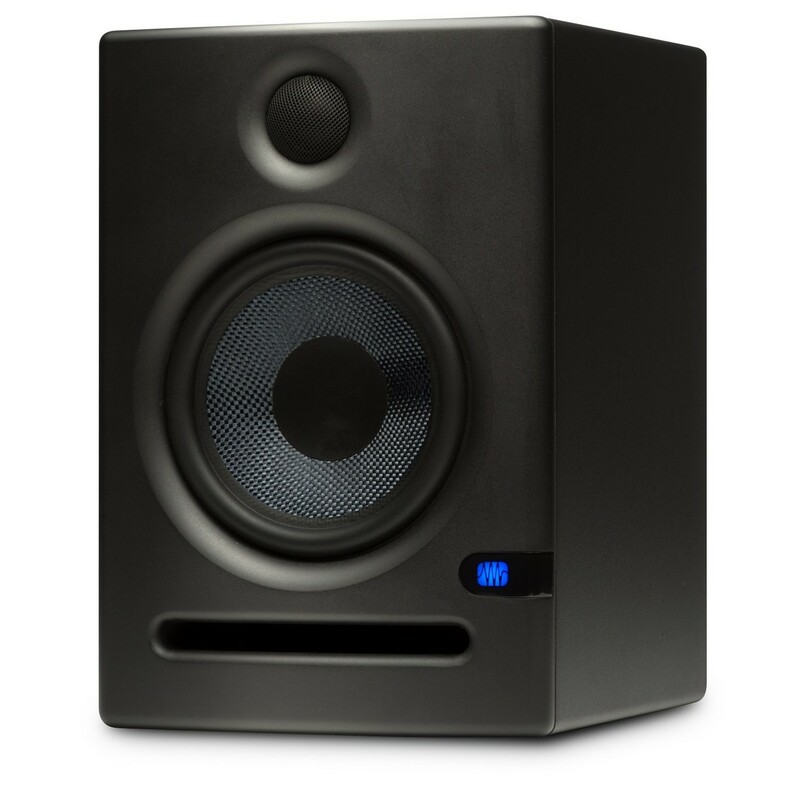 The Eris E5 studio monitors feature a 3-position Acoustic Space switch, which helps to compensate for the boundary bass boost that often occurs when your monitor is placed either in a corner, or near a wall. The Eris E5 also features Mid and High controls to further reduce any room anomalies, allowing you to get the most accurate audio reproduction. The Eris E5 will ensure you are hearing each frequency range clearly, no matter what room you are in. Additionally, the Low Cutoff filter switch makes it easy to integrate a Temblor subwoofer into your setup. The Eris E5 monitors use a Kevlar woofer and silk dome tweeter to ensure super clean and smooth audio. The Eris series utilise a custom-woven Kevlar low frequency driver, which helps to break up reflected energy so fewer delays reach your ear. This means that you get a constant dispersion pattern through throughout the frequency range, ensuring a cleaner overall sound. The silk dome tweeter is designed to create a larger sweet spot, which results in a smooth and refined high end. 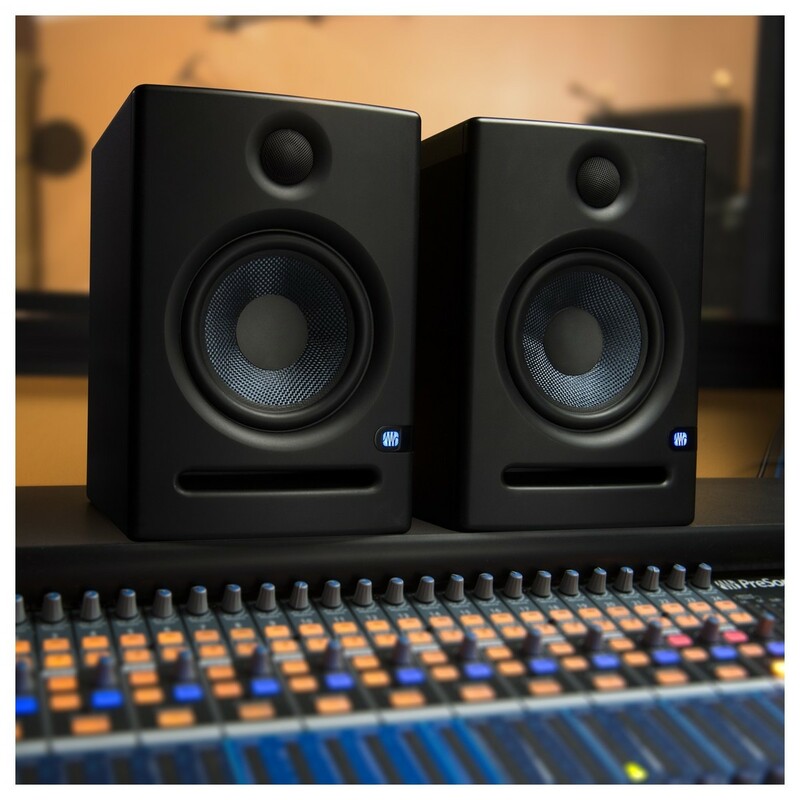 Overall, the Eris E5 monitors deliver a smooth and accurate frequency response, perfect for mixing and producing. For monitors, you need a sound you can trust to produce clear and perfect mixes and productions. The Eris E5 delivers an accurate, smooth frequency response, ensuring you are hearing each frequency clearly, making it easier to remove the problem frequencies when mixing. The smooth and even frequency response has made the Eris series one of the fastest growing studio monitor lines in the world. They are compact and powerful, ideal for home and professional studios. The Eris E5 monitors can connect to virtually any line-level source. 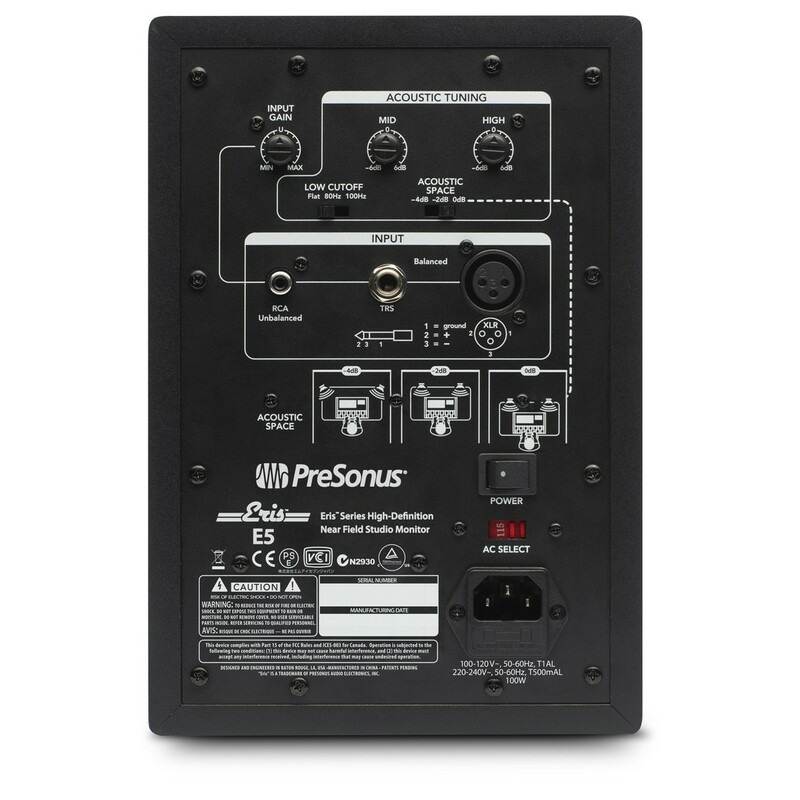 They feature 3 different types of audio inputs, allowing them to connect to an audio interface, mixer, monitor controller, or almost any other line-level source. The Eris E5 monitors are equipped with a balanced XLR input, 1/4'' TRS, and unbalanced RCA line-level input. This allows them to easily integrate into your studio setup. These Isolated Studio Monitor and Surround Sound Speaker Stands by Gear4music are firm and durable support stands for correctly positioning speakers and monitors. The stands have a triangular base to offer stability along with rubber pads to stop any slippages. They are sleekly coated in a matte black finish. These speaker stands have telescopic columns for easy height adjustment so you can position your speakers at exactly the level you need. The heavy duty bases are layered with non-slip rubber pads to keep the stands firmly in place.